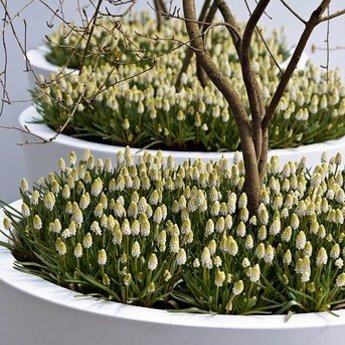 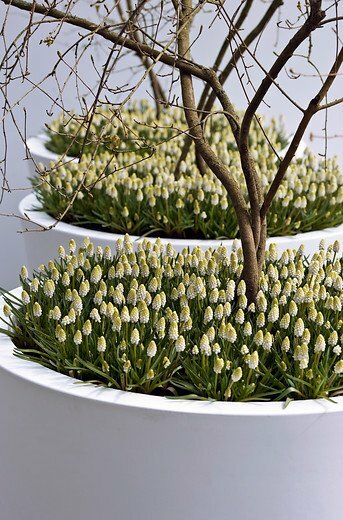 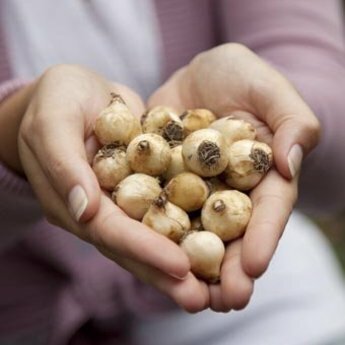 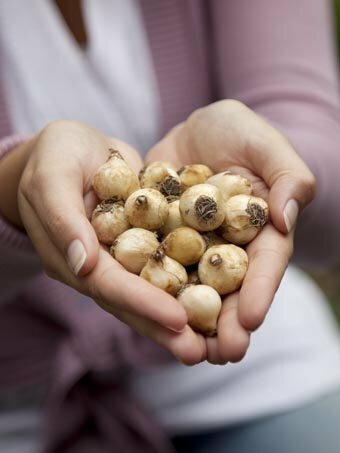 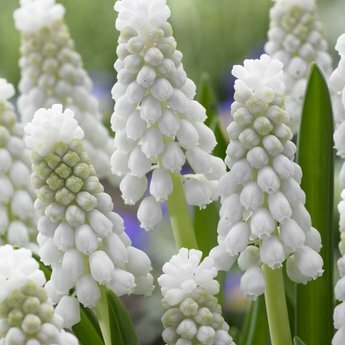 Bright white with a tough crest - 20 pieces size 7/+ - Flowerbulbs will be delivered from September 15th! 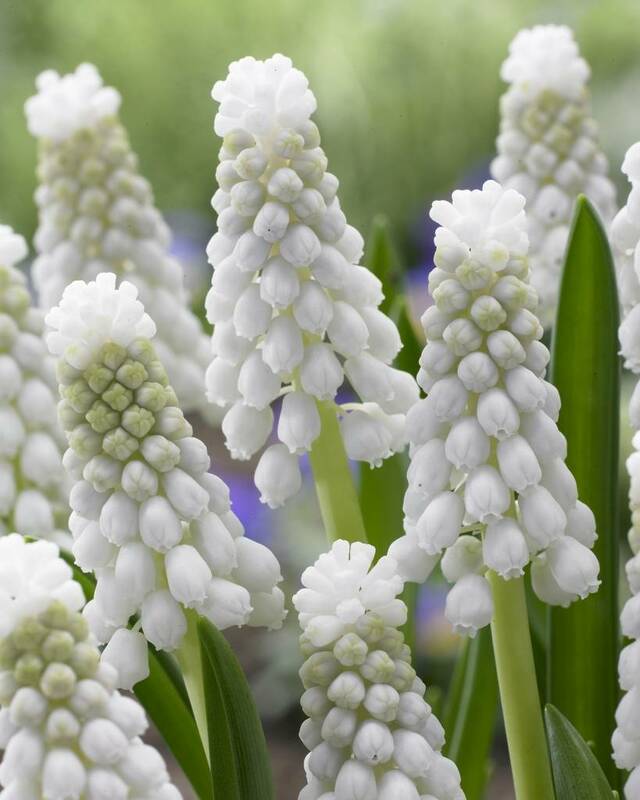 A bright, white grape hyacinth with a special, tough tuft. 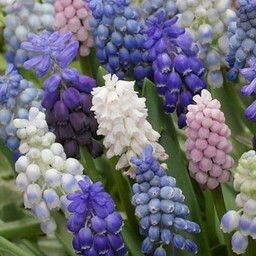 Very nice in groups planted in the lawn, border or pot. 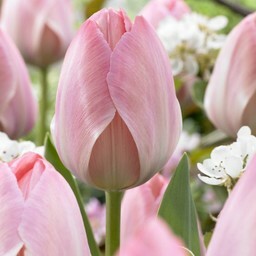 Combines well with the pink hyacinth Pink Pearl and/or the pink tulip Mystic van Eijk. 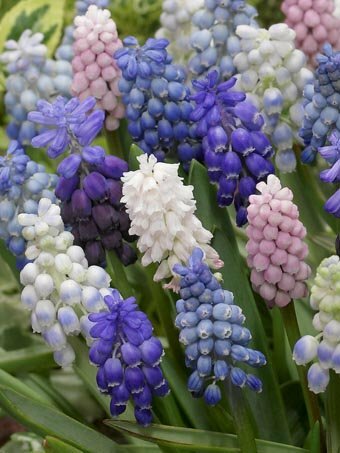 Bees and butterflies love grape hyacinths.